Environment Canada says conditions have improved Saturday afternoon in Saskatchewan. 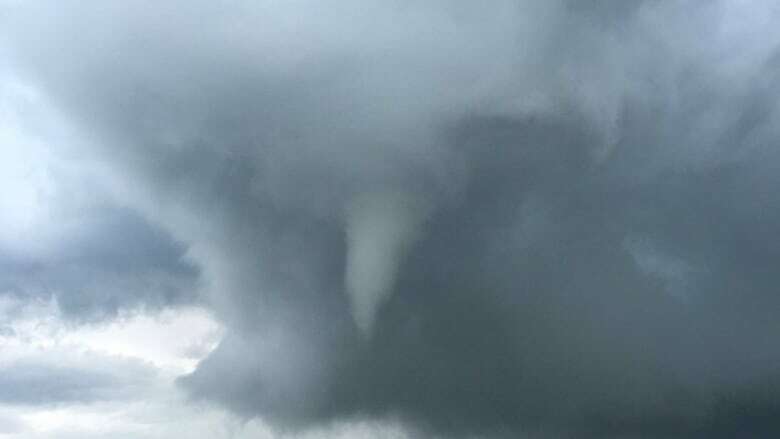 Environment Canada says conditions have improved Saturday afternoon in Saskatchewan and have ended an advisory warning of the possible formation of funnel clouds. Kamsack - Canora - Preeceville. Humboldt - Wynyard - Wadena - Lanigan - Foam Lake. According to Environment Canada forecasters, funnel clouds are no longer expected in those areas. What is the difference between a weather watch and warning? The weather service issued the advisory on Saturday morning but rescinded it in the afternoon due to a change in conditions.